Before MP3s, CDs, and cassette tapes, even before LPs or 45s, the world listened to music on fragile, 10-inch shellac discs that spun at 78 revolutions per minute. While vinyl has enjoyed a renaissance in recent years, rare and noteworthy 78rpm records are exponentially harder to come by. The most sought-after sides now command tens of thousands of dollars, when they're found at all. 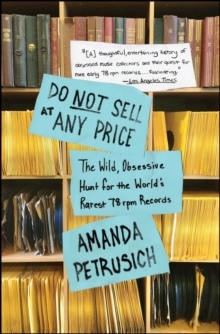 Do Not Sell at Any Priceis the untold story of a fixated coterie of record collectors working to ensure those songs aren't lost forever. 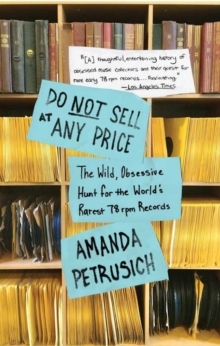 Music critic and author Amanda Petrusich considers the particular world of the 78-from its heyday to its near extinction-and examines how a cabal of competitive, quirky individuals have been frantically lining their shelves with some of the rarest records in the world. 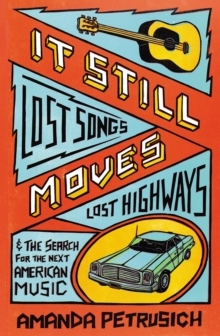 Besides the mania of collecting, Petrusich also explores the history of the lost backwoods blues artists from the 1920s and 30s whose work has barely survived and introduces the oddball fraternity of men-including Joe Bussard, Chris King, John Tefteller, and others-who are helping to save and digitize the blues, country, jazz, and gospel records that ultimately gave seed to the rock, pop, and hip-hop we hear today. From Thomas Edison to Jack White, Do Not Sell at Any Priceis an untold, intriguing story of the evolution of the recording formats that have changed the ways we listen to (and create) music. 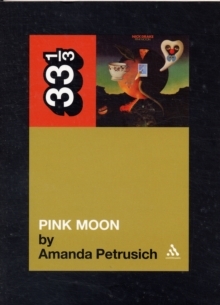 "Whether you're already a 78 aficionado, a casual record collector, a crate-digger, or just someone...who enjoys listening to music, you're going to love this book" (Slate).